All homes currently listed for sale in the zip code 83702 as of 04/21/2019 are shown below. You can change the search criteria at any time by pressing the 'Change Search' button below. "This stunning, single level condo is set on the 12th floor, NE corner, of the prestigious Aspen Lofts and is like no other! 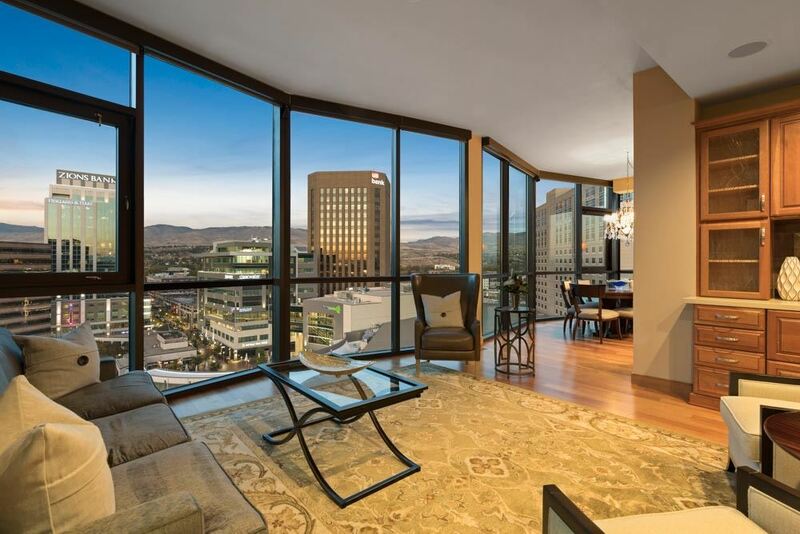 Once you step thru the door, you will find a custom designed condo with beautiful, high quality and exotic finishes, spacious rooms, 2 covered, private balconies and floor to ceiling windows to enjoy the breathtaking views. 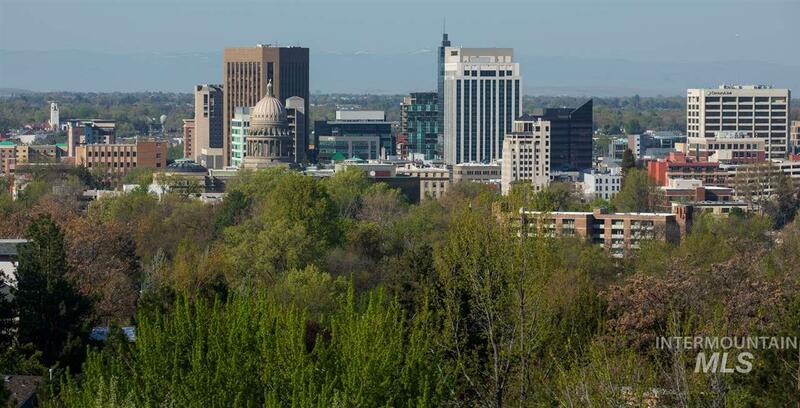 Once you step out the door, you are in the heart of all that downtown Boise has to offer & just minutes to the River & Greenbelt. The location simply ca"
"Nestled in the heart of the N End, just two blocks to the Co-Op & downtown! A charming wrap-around porch leads to a pristine interior. The living room features a Table Rock quarried stone fireplace & large windows that illuminate the interior w/ natural light. The gourmet kitchen features a large center island w/ granite countertops, stainless steel appliances, & a farm-style sink. The main-level master suite provides a spacious walk-in closet w/ built-ins & a luxurious bathroom finished w/ Carr"
"To be built by Conner Construction in Highlands Cove Subdivision. Gorgeous foothills setting with an eastern exposure. The single story home pictured is the award winning 2018 Parade Home The Cove. 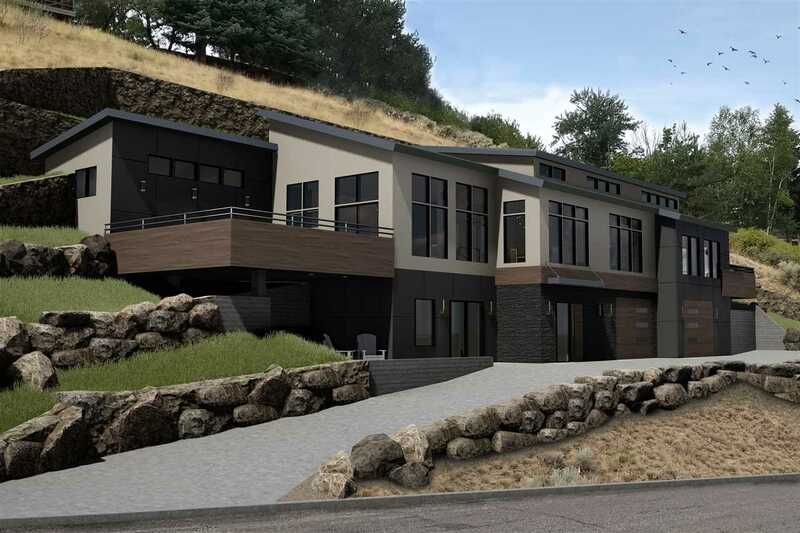 Also available, a custom 3600 sf, 2-story home pictured in the rendering with 3 bed/office/bonus along with a tech room & 3 car garage, Price TBD. Video tour under available on virtual tour, please look at this amazing footage!" "Presenting the Cornello plan by Shadow Mountain Homes with a modern flair. 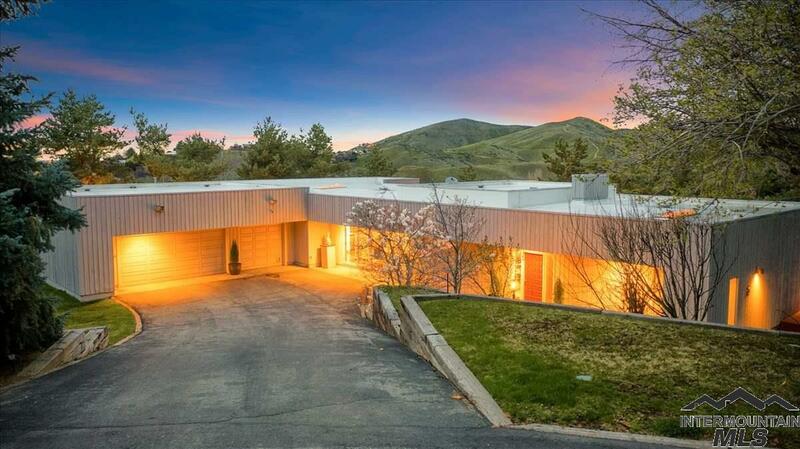 No detail is left out on this amazing home including the golf course and valley views. This gorgeous single level with large covered deck also has a guest room that could be used as an office or bonus room. Kitchen includes top of the line appliances to include Thermador cooktop and double oven. Hardwood flooring, quartz, tile and granite throughout. Master with tile walk-in shower, soaker tub and large closet. A m"
"The Pasatiempo is a floor plan specifically designed to capture the VIEW! Nestled into one of the highest points among Highlands Neighborhoods. Hackberry North has a direct VIEW of downtown. Rugged foothills beauty with city skyline sparkle. 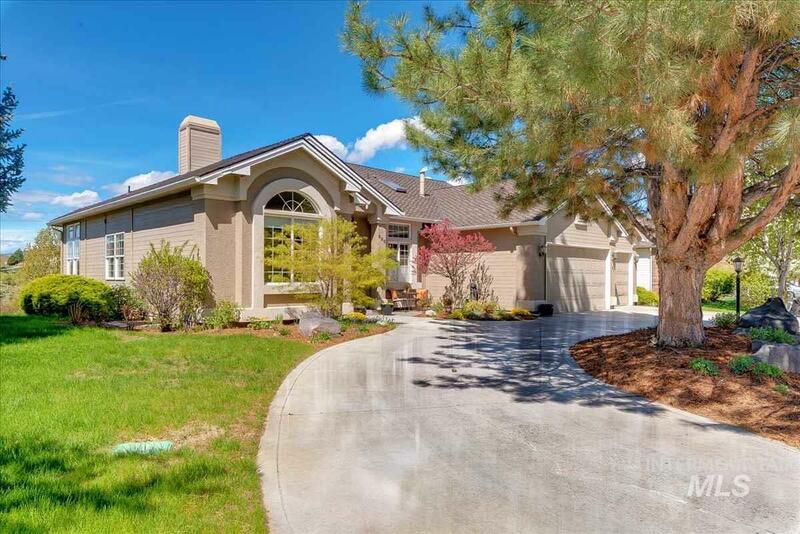 Ideally located at the base of all your Bogus Basin adventures, just a short drive to Country Club, Downtown and North Boise Neighborhood attractions. Schools are Highland Elementary, North Jr High and Boise High School. Buyer verify all." "Innovative new design by Syringa Construction. Taking advantage of the elevated setting by creating a private patio flowing from the dining room in the back of the home and a deck off of the front kitchen to take in the topography of Highlands Cove. Spacious rooms with an open layout, high ceilings and state of the art finishes. Plenty of room for the toys in a huge garage-over 1000 square feet. 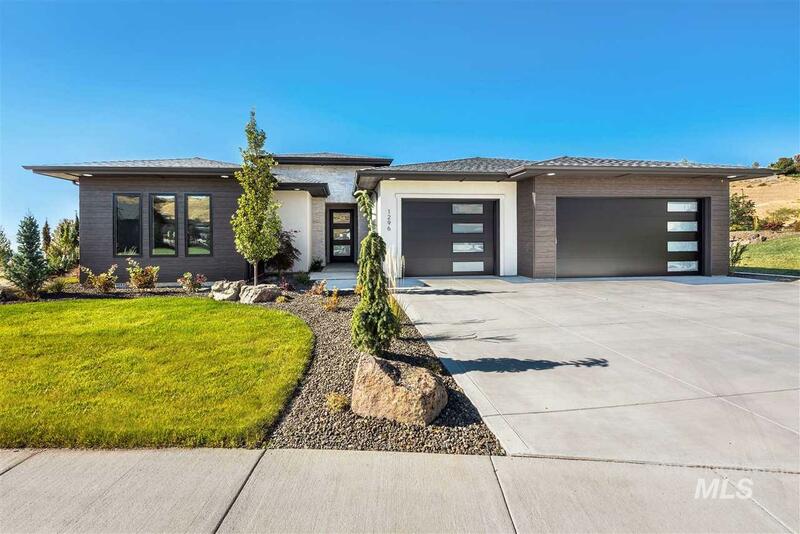 Highlands Cove wraps around Crane Creek CC Golf Course with Ridge to Rivers foothills trails out your"
"This modern dream home is within walking distance to Crane Creek Club House and has a view of the golf course. It features hardwood floors, porcelain tile and high end appliances, as well as a heated driveway. Two large decks and a covered patio allow you to enjoy the views. All photos are renderings/similar." 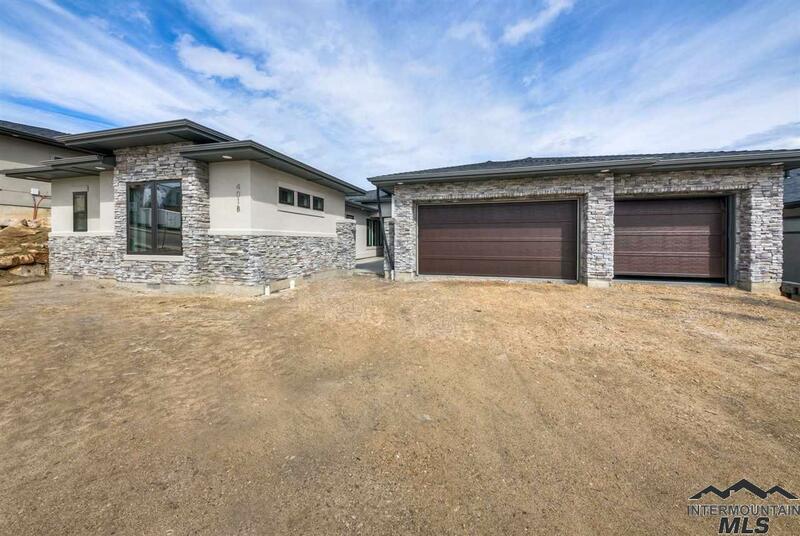 "Wonderful plan by Shadow Mountain Homes offers great single level living with two master suites. Front courtyard entry, split bedroom and north facing backyard. Kitchen features granite island, double oven and nice pantry. Hickory hardwood flooring in entry, great room, kitchen, eating nook and hall ways. Master bath has granite, double vanity, soaker tub, gorgeous tile double shower and spacious walk-in closet. Front casita has W/D hook ups, walk in closet and separate entrance. garage offers "
"Mid-Century inspired visual treasure in coveted Boise Heights, brought to life in 2001 by local architect, Rob Thornton. Strategically poised on its ~1 acre home site to maximize privacy & the beautiful setting. Vivid box forms & striking lines artfully contrast with the organic contours of the surrounding foothills, creating one-of-a-kind appeal. Designed to encourage the indoor/outdoor lifestyle, various patios & view balconies flank the perimeter, providing a nearly panoramic setting for outd"
"Highly sought after North End! 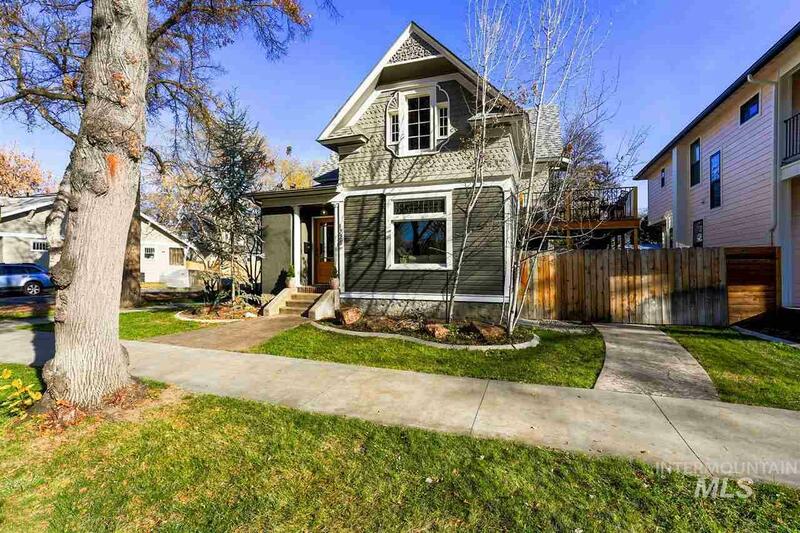 One-of-a-kind classic Victorian paired w/Gorgeous modern updates. Fully remodeled and updated, this home has it all! Kitchen features brick flooring, granite counters, custom cabinets, Subzero fridge, Viking 6 burner range and large island. Main level master with ensuite bath, granite counter, dual vanity, walk in tile shower and huge walk in closet. Large corner lot with low maintenance landscaping, patio in back with gas fire pit and built-in grill. Entertainer'"
"Extensively remodeled North End Queen Anne. 4 bedrooms + an office. Flawlessly appointed open kitchen with beautiful granite island, 2 dishwashers, double oven, quarter-sawn cherry cabinets. 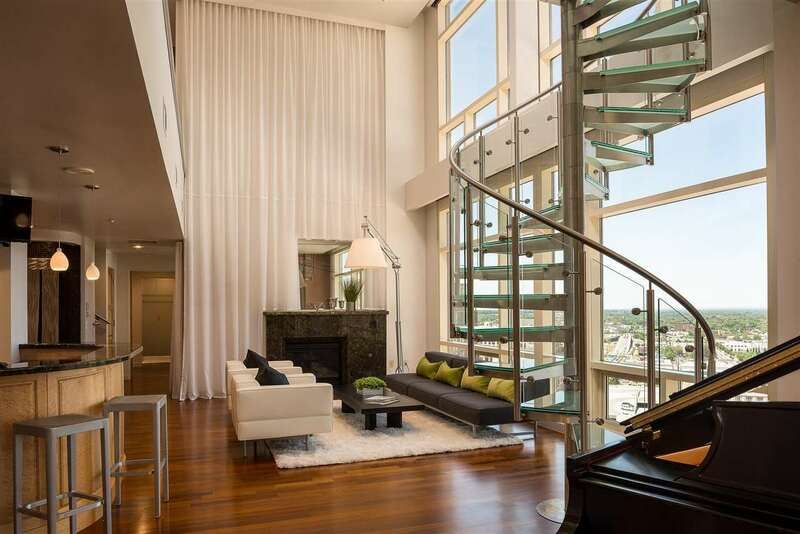 The spacious living room has room for a grand piano. Upstairs is a master bedroom retreat. Enjoy the entire top floor with a workout/yoga room or would make a lovely bedroom. The den is the hardest working room in the house. Could be a breakfast nook, mudroom, art room, or all of the above. 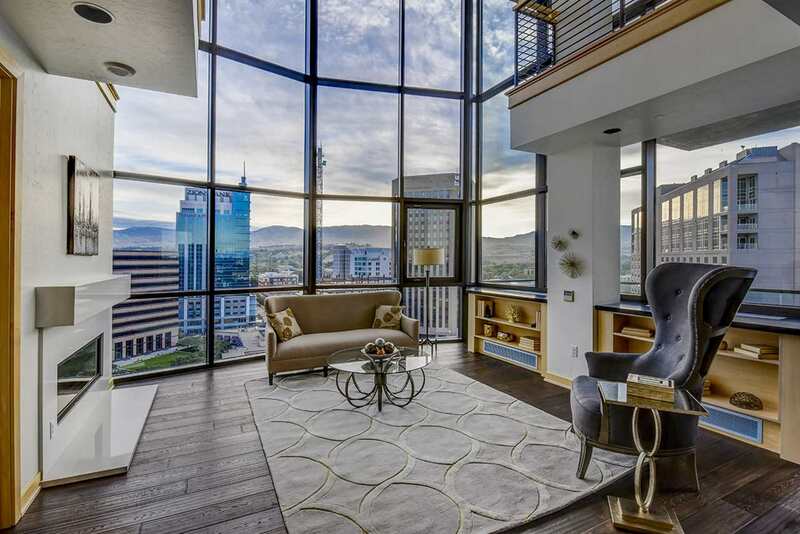 Check out the 3D "
"Exquisite masterpiece w/ unobstructed views! Distinguished by custom finishes- brilliant stone at front exterior, full Trex decking up and downstairs, hardwood floors, stylish tray ceiling finished by wood beams, floor to ceiling stone wrapped fireplace, custom cabinetry, tongue and groove ceiling in master, two master suites, granite counter tops in all bathrooms, upgraded lighting, luxurious dry sauna, and more! 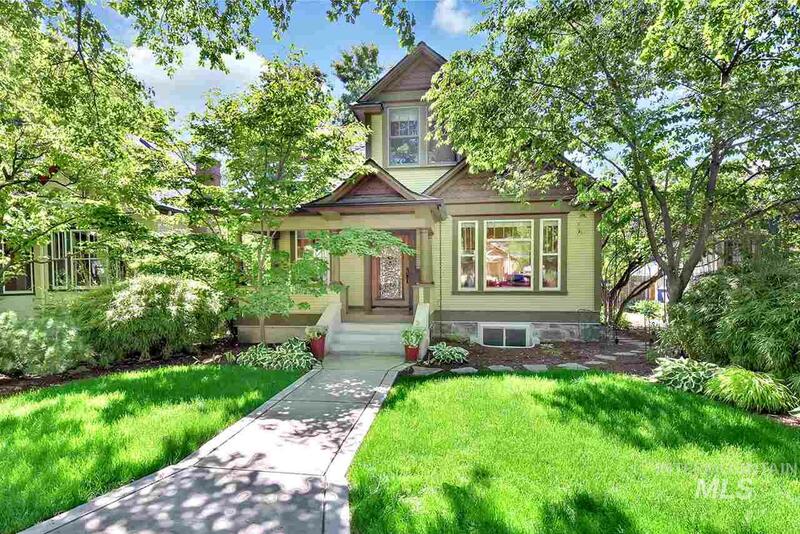 Hulls Gulch trails right out front door, food, drink, and ski shops within walking"
"Extraordinary Craftsman Bungalow, poised on a prime triple lot on Boise's most distinguished residential street, Harrison Boulevard. Grand living & entertaining spaces are filled w/ historic detail, & impeccable millwork that adorns each room. Recently refinished hardwood floors lead to a stunning brand new gourmet kitchen. 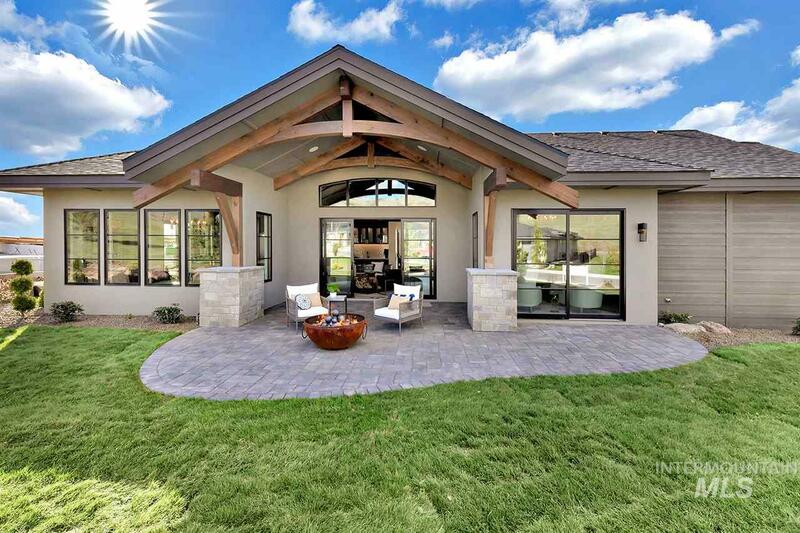 Complimentary to the handsome dark wood in the main areas, the kitchen is bright & modern & features custom cabinetry, white quartz countertops, & premier stainless steel app"
"Welcome to your private oasis with foothills views in coveted Highlands neighborhood! Oversized living & dining area has ample natural light, soaring ceilings and 3-sided gas fireplace. Gourmet kitchen with stainless appliances, custom cabinetry & walk-in pantry. Spa-like master suite with floor to ceiling windows, deck access, tile shower, dual vanities, & soaker tub. Immaculate terraced backyard with unbelievable views, raised garden beds, fun slide, & neighborhood access to Ridge to Rivers t"